PTB, a cool site with some great bass desktop graphics and posters, flash cards for learning, staff paper, and an extensive bass database. 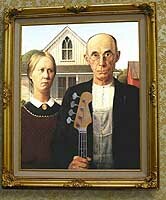 I really appreciate that Sean McMillin has put together this site for the love of bass guitar. http://www.activebass.com/ - Active Bass On-Line Bass Community. Great resource for learning, networking, bass tabs and more. What your fingers should be doing when you're not playing the bass... play cards!